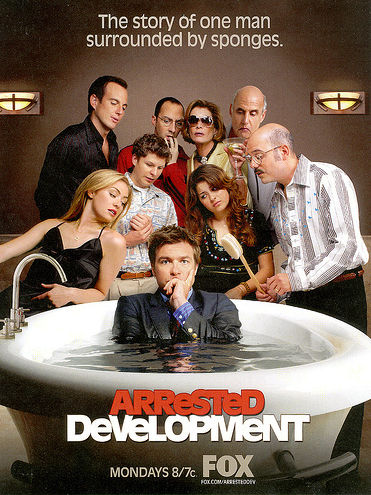 In case you didn’t believe it, Jason Bateman has confirmed that Arrested Development is returning to TV and will be coming to the big screen. Woo hoo! Oh how I love Jason Bateman. He’s a class act that can make me laugh with a simple facial expression. The show’s creator, Mitch Hurwitz gave a little insight as to what we can expect when he spoke at the New Yorker Festival saying it will be a “mini-season” of nine or ten episodes, each focusing on a single member of the Bluth family before everyone is reunited for the big screen conclusion. Through this, the time gap between the end of the series and the start of the movie would be filled in for viewers. PHOTO: Mark Ballas Gets Robbed!